Claire Hunt is a spirited member of the Burlingame High School class of 2020. A current junior, she runs cross country and track throughout the school year, and is a member of the Unicef club, Key club, and Mock trial. A vegetarian of three years, Claire is passionate about the environment and animal rights. She loves travel, new experiences, and exploring. Claire is frequently found at Coyote Point with her friends, driving around Burlingame, or relaxing at home. She loves The Office, Freaks and Geeks, and her favorite movie is Dazed and Confused. In her future, Claire hopes to join the Peace Corps and become a civil rights lawyer. 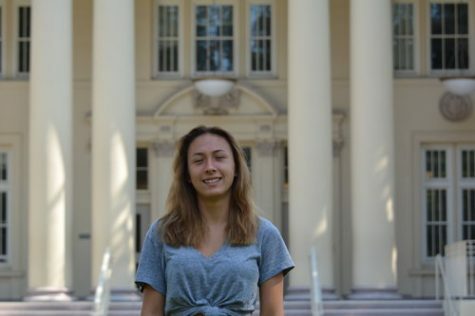 She is excited to write for the Burlingame B this year, and hopes to uncover some good stories!